Solar power is pretty big, and as time progresses, research has pushed the technology even further forward with a greater degree of efficiency for its solar panels. After all, using renewable energy sources that are environmentally friendly as well is the way to go considering the non-stop explosive global population that might just stress the planet too much that it can no longer sustain itself due to rapid industrialization across the globe. For folks who tend to carry a bunch of gadgets with them wherever they go, the inclusion of their respective chargers could prove to be a bane to one’s shoulders, especially during long haul trips where light is the operative keyword here. 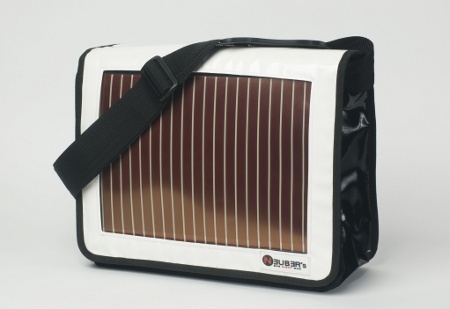 The Neuber Energy Sun Bag solves this dilemma, offering more than ample room to store your range of cellphones, portable media players, handheld consoles and other devices while boasting Konarka Power Plastic solar panels on the outside, making it the lightest solar energy bag available on the market at the moment. With the phenomenal success of the Flip brand of pocket HD camcorders, it’s no wonder that Cisco – Flip’s new owner – would want to expand their reach. And as such, they’re moving into TV with a new gadget which will wirelessly stream Flip video from a USB stick and controlled by remote. Ubergizmo has a story about 27″ iMacs which are experiencing buggy hardware issues such as “erratic hard drive behavior,” buggy playback of flash video which cause the CPU to reach 105% of it’s capacity, and issues pertaining to bad operating system installation. Now I know that flash is a memory hog, but that’s ridiculous. Drop this into your child's backpack and keep track of them where ever they go. There’s a nifty little device being sold at Best Buy which keeps track of your kids everywhere they go. It’s called the Little Buddy GPS Tracker and it uses global satellite positioning and cellphone technnology to help parents keep track of kids. And the best part is, parents can place the Little Buddy just about anywhere from backpacks to lunch boxes to even stick it into their pockets when they aren’t looking. Are you the type who loves running, and must clock your miles regardless of the weather? If you have answered in the affirmative, chances are you would have a treadmill sitting prominently in your living room or basement as you rack up those frequent runner miles whenever it rains or snows heavily outside, trying to outdo your best time. Unfortunately for runners and avid joggers, experiencing injury and stress at your joints could throw your running plan literally off track as you take time to rehabilitate. 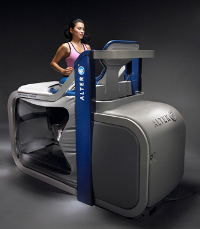 AlterG has other ideas though with their new anti-gravity treadmill known as the M300, where this model is much cheaper than the original anti-gravity treadmill developed at NASA, boasting a sleek new design which will totally go down well in any home as your guests “ooh” and “aah” over the exercise equipment that is your pride and joy. 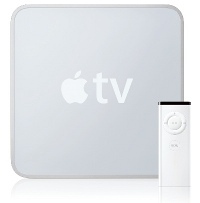 After having announced a slew of hardware updates in the last week, the company with the plan, Apple, has moved on to software updates by introducing the new Apple TV 3.0 software that aims to up the ante in the battle for your attention in living rooms throughout America (and the world, although Apple might not claim that officially). The Apple TV 3.0 software will come with a redesigned main menu that enables easier navigation of your favorite content in a faster and more simple manner, enabling you to enjoy the largest selection of on-demand HD movie rentals and purchases, HD TV shows, music and podcasts straight from the iTunes Store in an even better manner on your TV.